Veteran medicinal cannabis producer Tony Bower escaped prison time when he was sentenced for commercial drug cultivation, along with other serious drug offences, at Port Macquarie District Court last Monday. Leah Bisiani, a registered nurse who specialises in the care of elderly people in nursing homes, has become an advocate for more research into medicinal cannabis products as an alternative pain relief treatment for patients in aged care. Police in Vermont have warned the ACT to address issues around drug-driving in its bid to legalise cannabis, as the Australian capital looks to use the same model of legalisation as the US state. On the first weekend of this month, NSW police carried out a roadside alcohol and drug driving blitz in the Northern Rivers region. And while locals aren’t complaining about officers booking drunk drivers, they are opposed to those charged with drug driving as there’s no proof they were impaired. Out of a combined effort by the Lambert Initiative and two universities in Australia — Macquarie University and the University of Sydney — comes an animal study that isolates CBD as a promising treatment for addiction to methamphetamine. In recent years, a number of studies have shown emerging evidence of the potential therapeutic effectiveness of cannabidiol (CBD) in treating a variety of addictions such as heroin, cocaine, and alcohol, to mental disorders such as schizophrenia to the psychoses and anxiety that can accompany addiction. 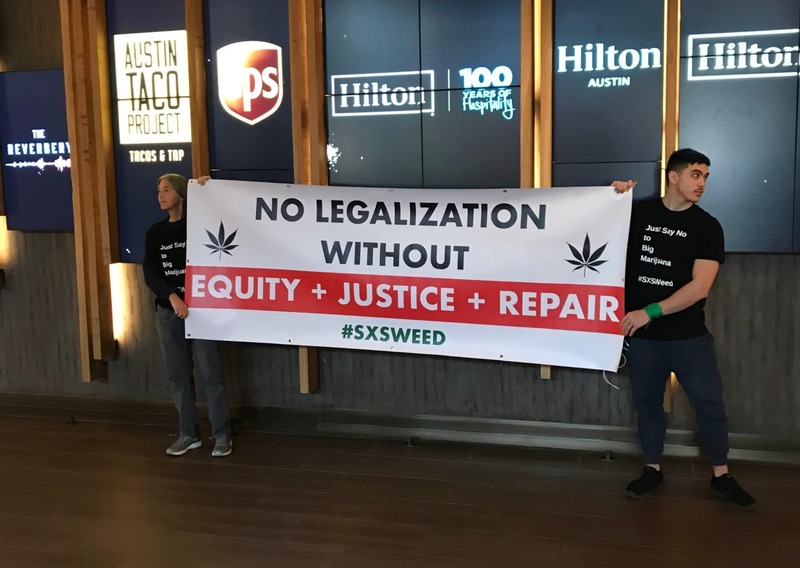 On March 15, cannabis activists protested outside the South by Southwest (SXSW) gathering at the Hilton Austin Downtown while former US House Speaker John Boehner presented on current cannabis business trends and the path to national legalization. “Just say no to big marijuana” one banner read. “No legalization without equity + justice + repair” read another. Activists gathered in the hotel lobby, before being forced out to the sidewalk. 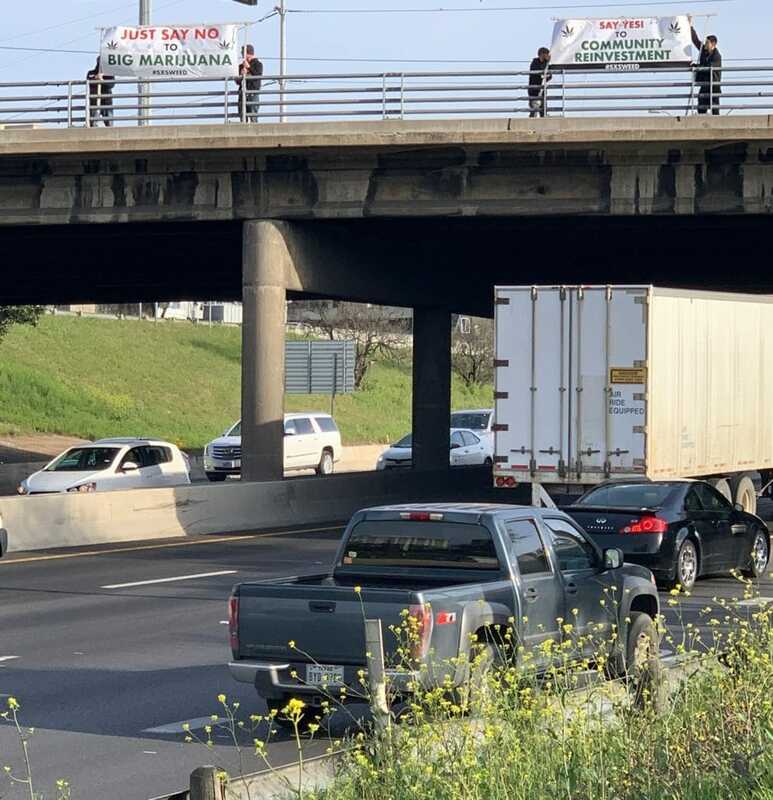 They also raised banners over the I-35 freeway, about a mile from the hotel. The governor approved the bill on Monday. Government leaders throughout Massachusetts envisioned dollar signs when marijuana legalization passed. Taxes would help fund the subway, police, and schools. But because of the slow rollout of pot stores and their far-flung locations, tax revenues have been disappointing so far. The state projected it would reap $63 million in taxes by June 30, but had received only $5.9 million as of March 1. President Trump’s 2020 budget request includes a loophole that would let Washington, DC finally open up dispensaries for recreational cannabis. Global policy on drug control is unrealistic, and has taken a harsh toll on millions of the world’s poorest people. Most patients seeking medicinal cannabis on the NHS will not be able to get it soon, despite recent changes in regulation that allow doctors to give it, a committee has heard. England’s Chief Medical Officer called for robust scientific trials to check safety. These trials can last years. Families with children with severe epilepsy have been campaigning for greater access. Campaigners say they have been let down. The unequal enforcement of drug laws is a source of profound racial injustice. The Numbers in Black and White, published in 2013 by Release & LSE, showed how drug policing, particularly the use of stop and search, was driving ethnic disparities throughout the criminal justice system in England and Wales. Thailand is poised to start its first tests of cannabis oil on patients, a health official said Friday, as excitement swirls around a new industry that could create money-making avenues for entrepreneurs while offering relief for suffering patients. Marijuana has been used as a traditional herb for centuries in Thailand but was banned decades ago. 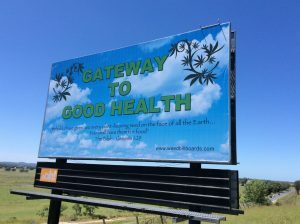 A Zimbabwe company says it received approval for its cannabis license, which will make it the first in the country to be permitted to commercially produce medical marijuana nearly a year after the country legalized cultivation for medicinal and scientific purposes. This week, more than a year after Peru’s Law 30681 legalized medicinal marijuana, the Peruvian government announced regulations for legal medicinal cultivation and use. Forget the energy industry. Marijuana appears to be the fastest-growing job sector in the US. The US added 64,389 full-time legal cannabis jobs in 2018, according to a new report from the cannabis website Leafly and the consultancy Whitney Economics. That represented a 44% increase in total positions, which rose to 211,000. And that’s not counting jobs indirectly related to the marijuana industry, like lawyers, accountants, security consultants, media companies, and marketing firms. With those included, the report said, there were 296,000 payrolls in the sector last year. 25 winners of the Alcohol and Gaming Commission of Ontario’s Jan. 11 lottery were given fewer than three months to prepare cannabis stores to open April 1. With more than a dozen cannabis cultivation facilities, Canadian-based Aurora has established itself as the clear top grower. European hemp stakeholders came away upbeat from a meeting with European Commission officials yesterday as they seek to reverse recent food rule changes that could upend the hemp food business across the continent. Many patients find cannabis calms their symptoms, eases pain and reduces the side-effects of other medication – but despite the relaxed attitude to marijuana in the Netherlands, acquiring this alternative medicine is often a battle. Experts are using DNA to better understand the many differences in how we experience cannabis as individuals. Medical marijuana works well as pain relief for older patients – reducing symptoms and helping patients stay off powerful opioid painkillers, research has found. Researcher Dr. Laszlo Mechtler looked at the effects of medical marijuana on 200 patients aged 75 and older – and said that seven out of 10 had some sort of symptom relief. If you believe the annual reports from the National Institute on Drug Abuse, weed is getting stronger. Certainly, if you measure potency by THC content, marijuana is unquestionably becoming more potent. It was even noticeable when the average THC content of weed in 2003 was 6.4%, compared to just 0.72% in 1976. One of the main reasons for this extra potency is the focus on producing sinsemilla, which is the tops of unfertilized female plants (these happen to contain the highest amount of THC). In the modern era, harvesters remove the trimmings and get rid of water leaves, which contain little to no THC. Two prominent Colorado institutions just announced a collaboration on the first clinical trial in the U.S. to analyze the effects of plant-derived cannabinoids on trauma to the brain. As a means of providing immediate pain relief for cancer patients, scientists have begun conducting clinical research on delivering medical cannabis concentrates through an inhaler. Cannabis could be substantial first step in addiction therapy. Recent studies break down the reasons why. You might think of cannabis as a medicinal and recreational substance, but did you know it also has a long and varied history as a spiritual herb? There are so many articles online that talk about detoxing or getting weed out of your system, so here at MarijuanaBreak we wanted to share something different with you. We believe that if you are enjoying your bud or you are lighting it up to ease the pain or any other debilitating condition, then why not prolong that lovely occurrence. Enhance your experience and enjoy the effects of weed every minute, while it lasts. ‘Miss Marijuana’s the type of girl all the guys want and all the girls want to be friends with,’ says pageant.